ANOKA, Minnesota - May 31, 2018 - Due to the introduction of new high-density HEAVYWEIGHT Tungsten Super Shot (TSS) loads, Federal Premium is working with a number of U.S. states to legalize the use of .410 shotguns and smaller shot sizes for turkey hunting. Bronson reports regulation changes are gaining momentum in at least two states. The Nevada Board of Wildlife Commissioners voted May 4th to approve a Federal Premium petition to potentially modify their shotgun restrictions to allow 28 gauge and .410 shotguns. The measure passed 8-0 and moves on to a formal rulemaking process where the specifics of a regulation change proposal will be worked out by Nevada Division of Wildlife Staff and the public. “We’re pleased to see this movement gaining traction. It’s an important first step in making hunting more accessible for more people,” said Bronson. 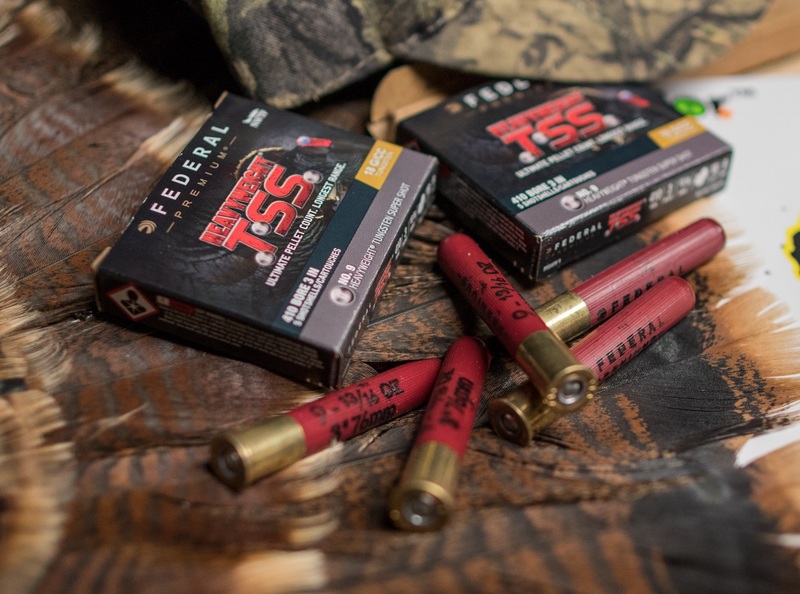 Introduced this spring, new HEAVYWEIGHT TSS pellets are made of 95 percent tungsten and have a density of 18 grams per cubic centimeter—20 percent higher than standard tungsten and 56 percent more than lead. Along with gains in penetration energy and velocity, ultra-dense TSS provides the highest pellet counts possible—up to double those found in lead loads of the same weight. “Higher pellet counts make smaller shot sizes and sub-gauge shotguns as small as .410 effective tools for taking wild turkeys,” Bronson explained. Federal Premium’s new HEAVYWEIGHT TSS is available in 5-count packs in 12-gauge, 20-gauge and .410 loads, in a variety of size 7 and 9 shot configurations. A portion of the proceeds from sales are donated to the National Wild Turkey Federation.